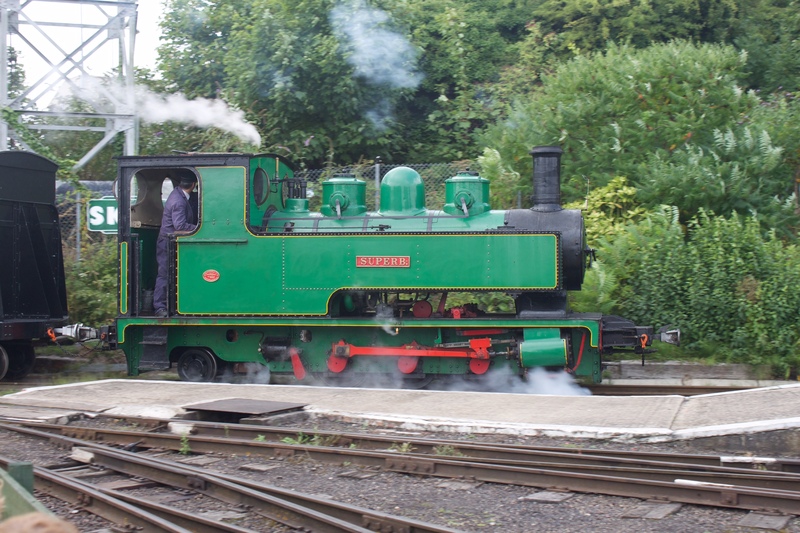 Good Friday sees the Sittingbourne & Kemsley Light Railway reopen for the 2015 Season. Trains will be running every day this long bank holiday weekend with steam locomotive ‘Superb’ starting the season off. This weekend trains will depart Sittingbourne Viaduct station hourly 11am until 4pm on all four days. On Sunday, there will be an Easter Egg Hunt at Kemsley Down. Steam locomotive ‘Superb’ will be hauling the first train of the season, built in 1940 by WG Bagnall, the locomotive, like all the other steam locos that operate the line, is original to the line. The passenger coaches are mainly based on the original staff coaches from the Railway’s paper making past when freight and passenger trains operated between Sittingbourne and Kemsley Paper Mills and Ridham Dock 24 hours a day, 7 days a week. Sittingbourne Viaduct station has free parking opposite McDonalds and behind KFC in Sittingbourne Retail Park and the pedestrian entrance is behind Pizza Hut. Satellite Navigation users should use ME10 2XD or The Wall as their destination. 02/04/2015 in News - Preserved Railway, Region - Industrial, Sittingbourne & Kemsley.